Wheelspins and Super Wheelspins are great ways to earn credits (CR), win vehicles, accessories and even car horns. There are two categories of Wheelspins, i.e. regular Wheelspin and another Super Wheelspin. The normal version gives you one item per spin (CR / accessory / vehicle / car horn). A Super Wheelspin gives you three of those at random. As it’s really useful in the game, here’s how to get Wheelspins and Super Wheelspins in Forza Horizon 4. Every car in Horizon 4 comes with car perks / mastery. The more you use a car, the more skill points you earn over time. You actually get a Wheelspin for every full round of skill points earned if I’m not mistaken. Additionally, you can use these points to unlock car perks. Most of these cars come with a Wheelspin as one or two of its perks. However, I’m not sure if you can get a Super Wheelspin as one of the perks. 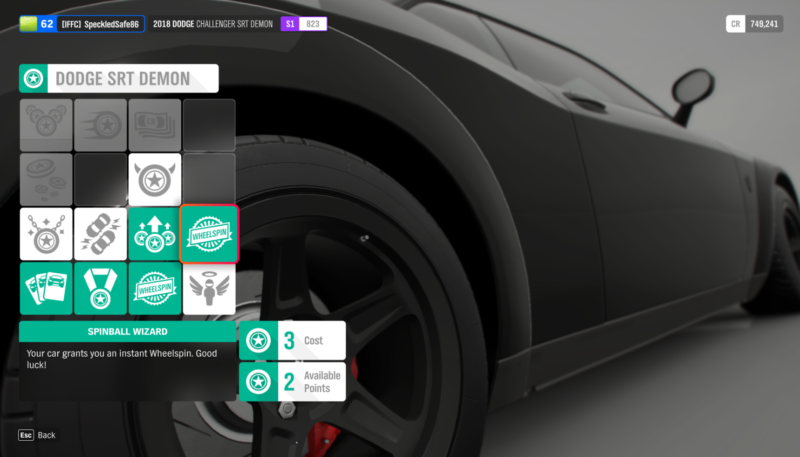 Another way to get Wheelspins is from the Forzathon shop. In the past, one Wheelspin only cost 10 Forzathon points. In the recent update, it has been changed to 40 Forzathon points which is rather expensive, considering it’s hard to earn these points. 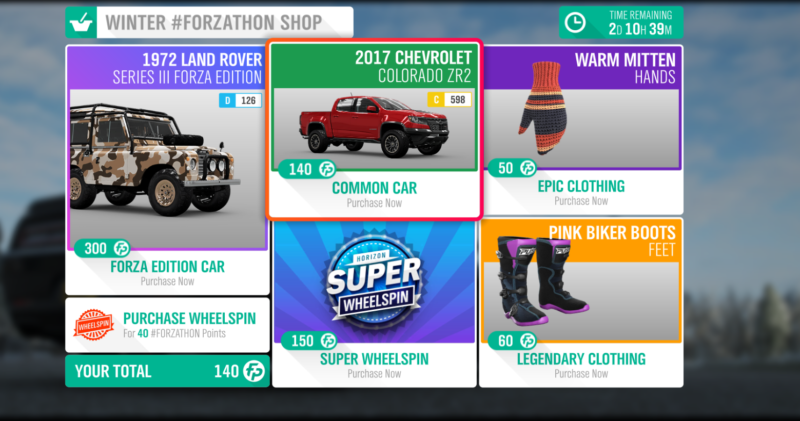 As for Super Wheelspins, it can be bought for 150 Forzathon points in the same shop. Every single time you level up your character, you should be getting one regular Wheelspin as a reward. That’s one of the easiest ways to actually earn a Wheelspin. Another way is to look out for racing tiers. There are different types of racing series (e.g. Dirt Racing / Street / Road Racing / etc.). 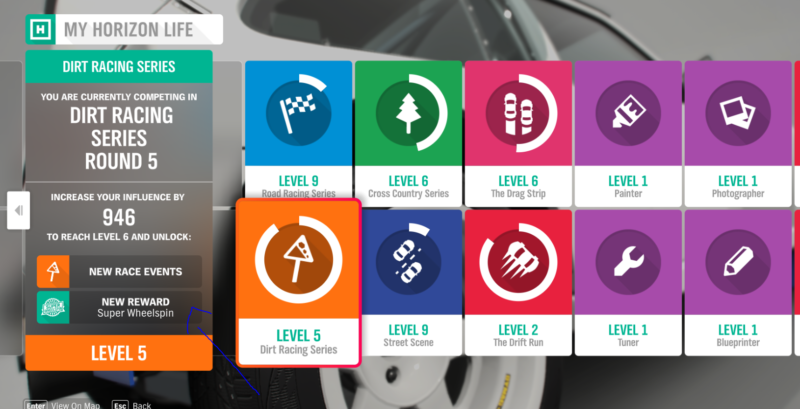 Every time you level up a tier in a racing series, you should be getting something. It can be a car, some accessories, credits or in some occasions, Wheelspins or Super Wheelspins. 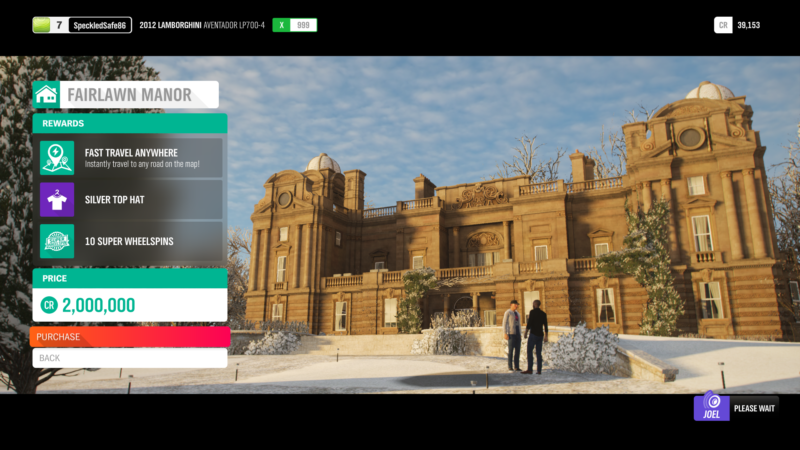 In Forza Horizon 4, buying houses may also comes with rewards. Some houses offer 10 Super Wheelspins as a reward (e.g. Fairlawn Manor), and some just a measly regular Wheelspin for the cheaper properties. It’s actually a good way of getting some Super Wheelspins but once you’ve bought the house, then that’s it. I also noticed that every time the character’s influence rank increases, he or she gets a Wheelspin as a reward. I’m not certain if it happens every single time but it’s an easy way to get more spins. When you move from season to season (e.g. 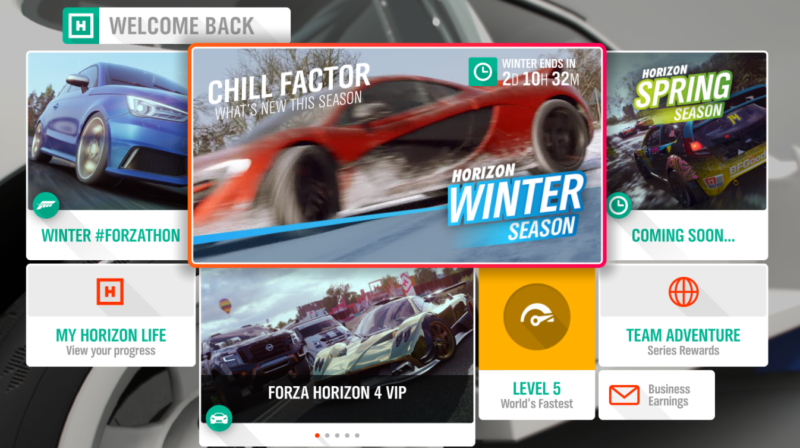 Autumn to Winter), you may notice that you have a free Super Wheelspin. That’s probably the reward you get every season. There are plenty of occasions that you may get Wheelspins and Super Wheelspins in Forza Horizon 4. As it happens a lot, I may have missed out or forgotten on other ways to actually acquire them. Do let me know in the comments below if there are other ways to earn these spins.